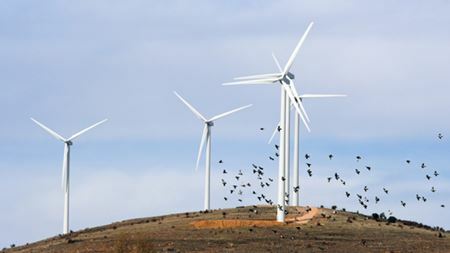 With the traditional wind energy markets in Europe approaching saturation, wind turbine manufacturers and project developers are looking for new frontiers. Find out how cost-effective improvements in machinery and systems can help you achieve specific productivity goals in your plant. This column examines how regulatory agencies are hurting our country’s manufacturing prospects. The Society of Plastics Engineers (SPE) Automotive Composites Conference and Exposition (ACCE) took place in September. Mike and Pam Brady report. A Fresh Boost for Offshore Wind in the USA? 4 November 2010BY KYLE HANKINSON, VICE PRESIDENT, KCH ENGINEERED SYSTEMS, FOREST CITY, N.C.
29 September 2010By Tony Evans, Process Automation International Ltd.
PCI executive director shares his thoughts on the upcoming NAI Coating show, as well as his outlook on the global powder coating industry. 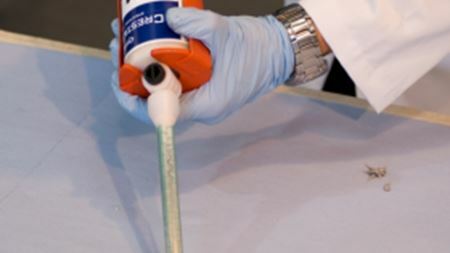 Has Conventional Compressed Air Spraying Method Met Its Match? Advanced Coating & Application Technologies promises to revolutionize the traditional coating process. 2 September 2010BY MICHAEL HAYDELL, HAYDELL INDUSTRIES, LAFAYETTE, LA. Reinforced Plastics takes a look at what's happening at this year's show, which is being held in Essen, Germany, on 14-16 September. 17 August 2010BY ED PETRIE, EMP SOLUTIONS, CARY, N.C. Specialty finisher banks on proven proprietary processes, plus a little bit of luck. 21 July 2010BY Jim Pakkala, Engineering Manager, DURR SYSTEMS, PLYMOUTH, MICH.
7 July 2010By Bill Corzine, Director, Corporate Laboratory, The Armoloy Corporation, Dekalb, Ill.